Scene understanding has been a hot topic in computer vision research fields for quite a long time. 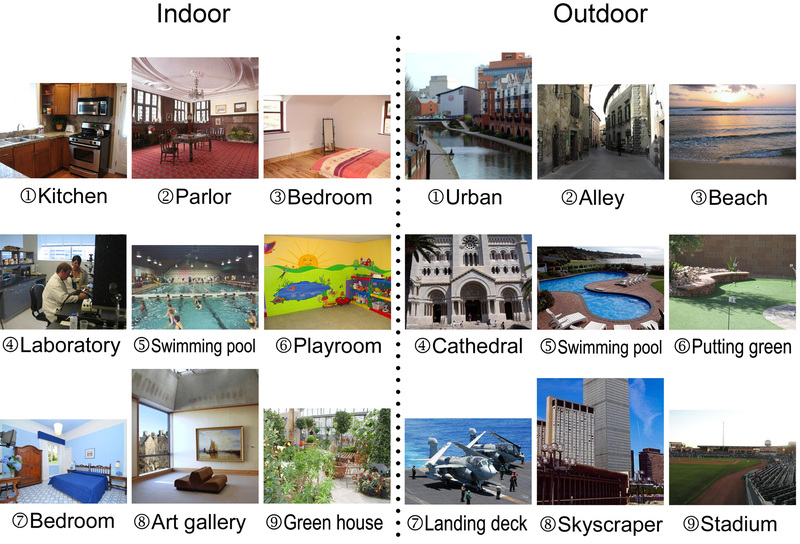 As a sub-branch of scene understanding, indoor/outdoor scene classification has become increasingly challenging throughout the years as visual data becomes larger and more diverse. As existing approaches are not scalable to large-scale visual data (usually 100,000 images at least), it is extremely important to have an accurate and robust system to handle big visual data for robust indoor/outdoor classification applications. Mr. Chen Chen and Ms. Yuzhuo Ren, two MCL PhD students, and Professor C.-C. Jay Kuo recently proposed a new framework to tackle the large-scale indoor/outdoor image classification problem via an expert decision fusion system. The proposed solution has been tested on a large-scale and the most challenging scene understanding dataset from the SUN database, and a correct classification rate of 91.2% has been achieved, which is the state-of-the-art technique in the field. This work has been accepted for publication in the 1st Scene Understanding for Autonomous Systems Workshop (SUAS 2014) held in conjunction with ACCV 2014, Singapore, November 2, 2014.